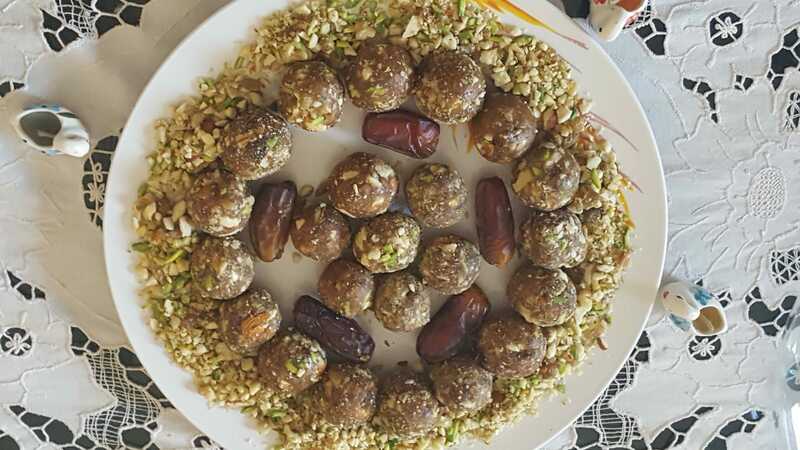 Dates and nuts ladoo is very healthy and a quick dessert.It is sugar and gluten-free.These ladoos give protein and carbohydrates which makes it a perfect snack for all ages. Take a small pan on a medium flame, add ghee after that roast all dry fruits one by one until it gets little golden in color. Put aside for cool-down. Once the dry fruits cooldown put them in a blender. Dry fruits mix it with coarsely grounded dates, divide the mixture into small size balls. Roll them with the help of the palm. Store it in an airtight container, it stays good up to a month.